From the get go Catharina and Bertie knew exactly where in the world they wished to marry and how that day was going to look. 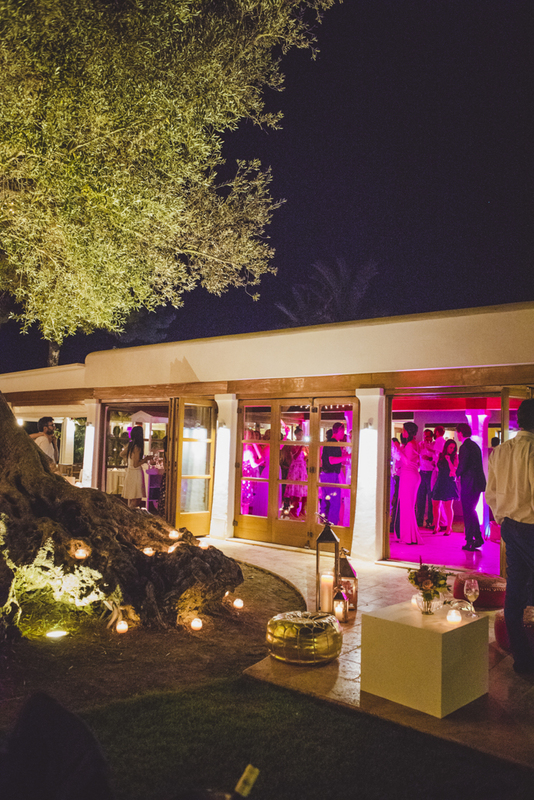 Ibiza was always going to be their first choice and after many joy filled weeks spent here on holiday, they wanted to share their love of the island with their friends and family. 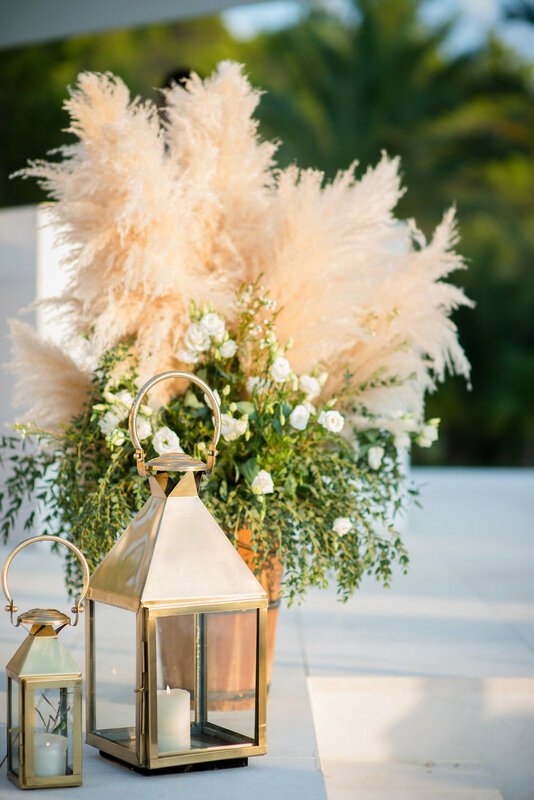 Catharina worked closely with our creative teams on a chic and organic decor scheme, with long informal tables and flora hand picked that morning from the Ibizan campo providing striking accents. Ana Lui, long time island resident and photographer extraordinaire captured some beautiful images of the day and Velvet Circus, the styling and decoration company we have worked with over the last decade brought their magic to the overall scheme. 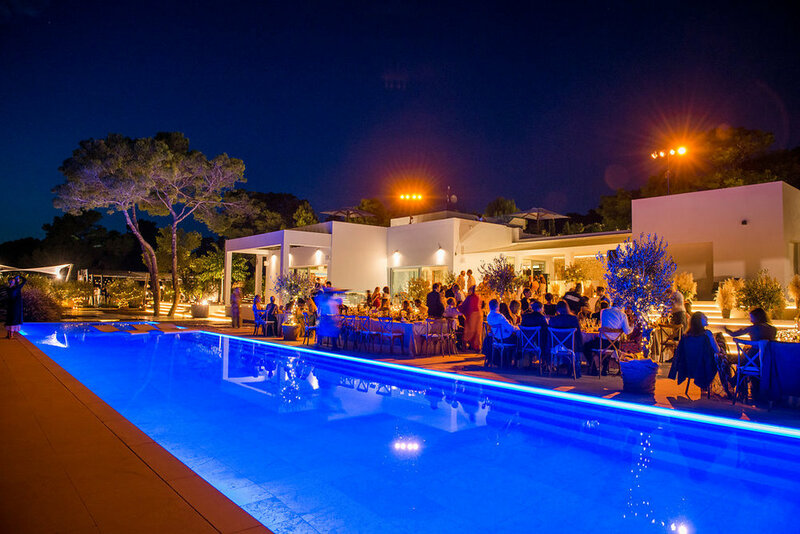 The evening before the main event was celebrated at Experimental Beach with an informal cocktail reception held against the iconic backdrop of a perfect Ibiza sunset. 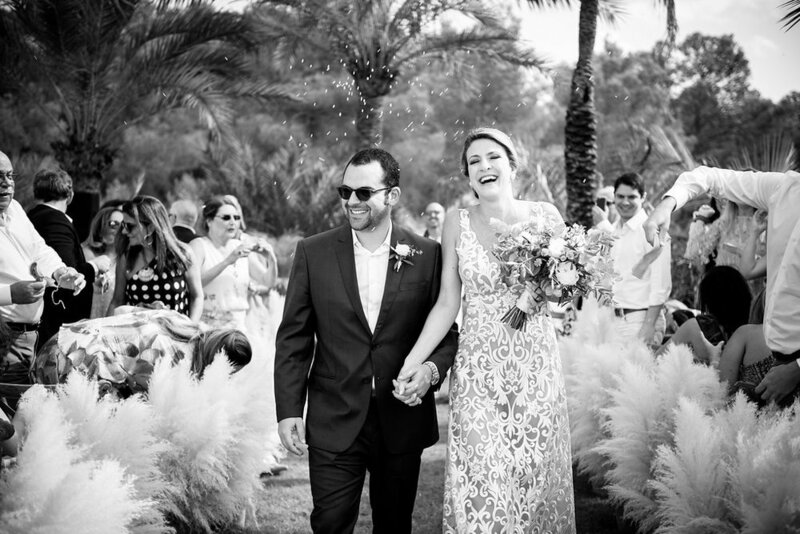 This was one of those weddings where there was just so much love in the air it was infectious! Even though my Portuguese isn't up to much I was still having a little weep when the Father of the Bride made his super emotional speech. Gabi and Andre invited guests from around the world to celebrate at the private house they chose to be their wedding location. The decor was keep simple and stylish to really allow the surrounding beauty and the architecture of the house take centre stage and Gabi looked so chic and elegant in her Maison Camille Gabrielle gown. La Grande Bouffe smashed the food and Gabi and Andre created their own Eton Mess from a pavlova stack and a giant rolling pin. And as day faded into night, the music cranked up and friends of the couple hit the decks to a very enthusiastic international crowd. 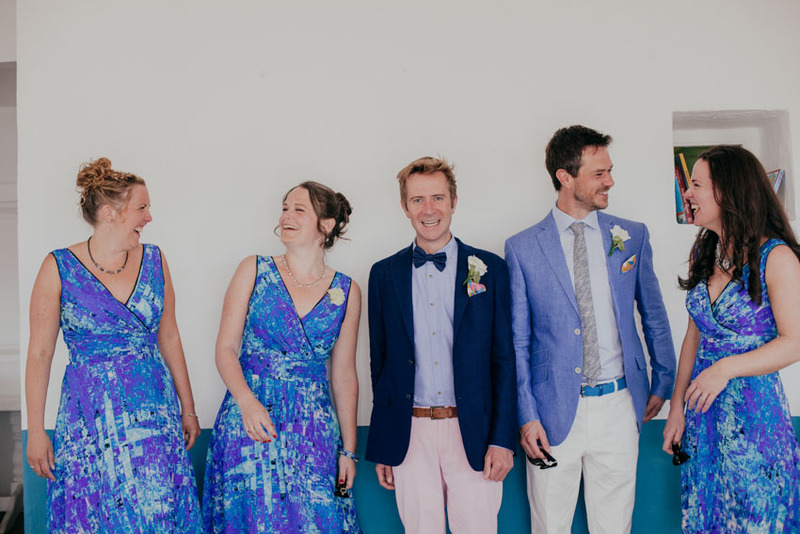 When the highlights of Paul and Aelish´s wedding landed in my inbox, I watched it with a big smile on my face as Gary at Infin8 had so perfectly captured the feeling of the day. These two were so relaxed and they really did just smile and laugh all day long. Just gorgeous. 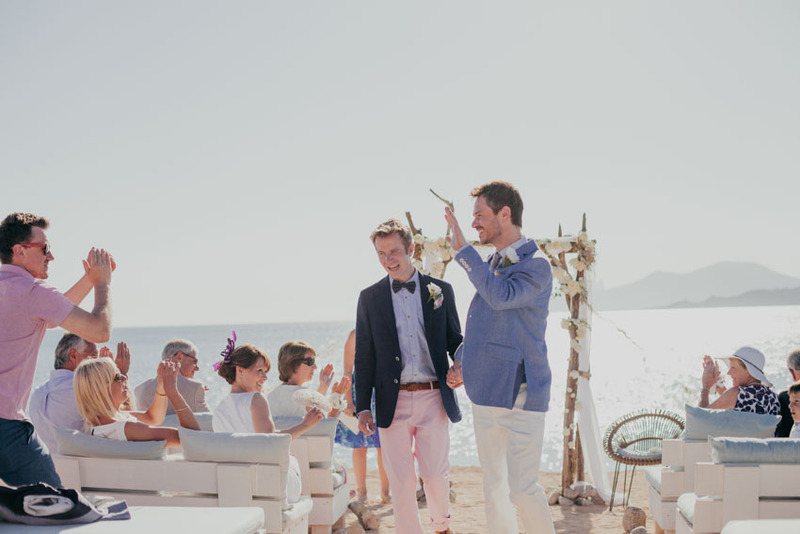 Held on a very warm, very brights summer´s day, big ol´shades were the order of the day for Paul and Kevin´s super intimate, super stylish, feet in the sand celebration at Cap d´es Falco. The collaboration between them and Velvet Circus Ibiza, our decoration wizards, as well as Ramo de Flores our (long suffering!!) florist produced the most dreamy, rustic scheme that only enhanced the beauty of the location, rather than from detracting from it in any way. 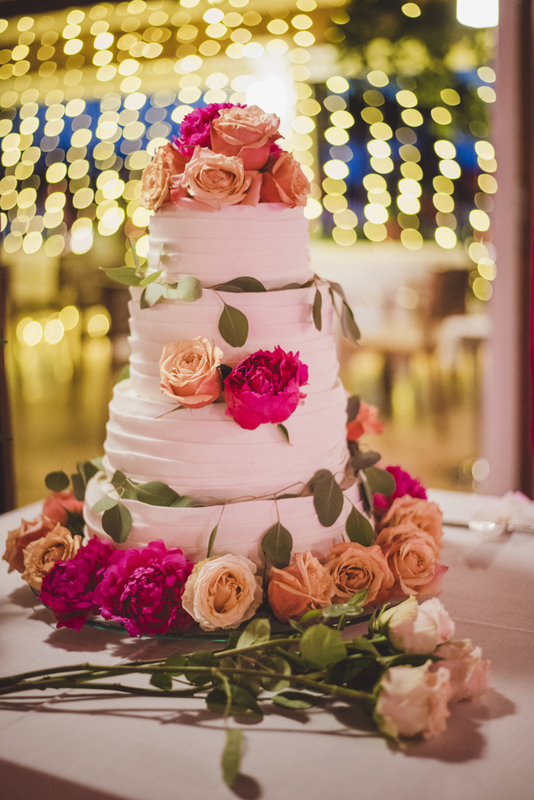 Vows were made under a simple rustic awning draped with chiffon and studded with white peonies and roses (which with some help survived the heat of the day) and guests watched on informally from over sized day beds. 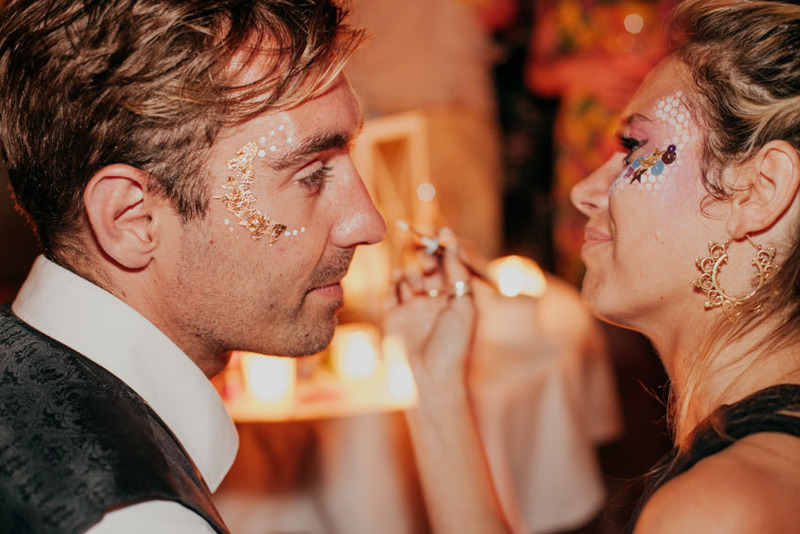 Fabian and Nadia´s wedding was a true love story and friends and family flew in from all over the world to watch them make their commitment to each other. Kind, funny, intelligent and very stylish they knew exactly the kind of celebration they wished to host. 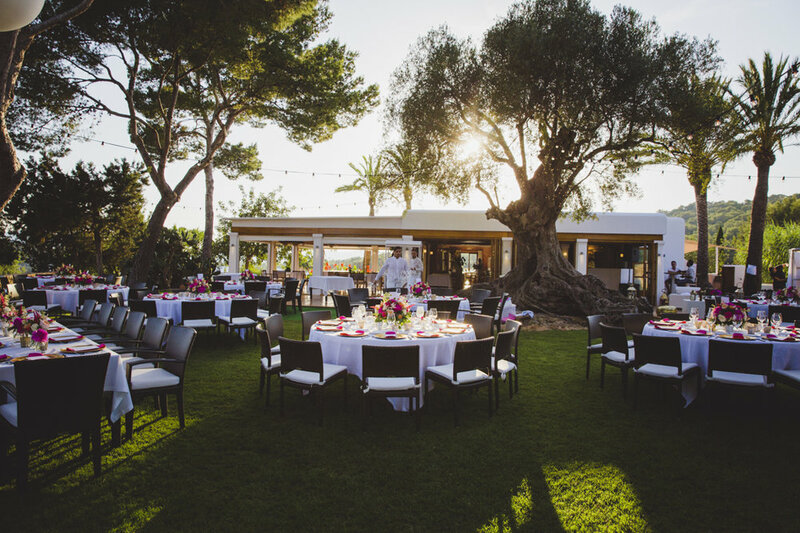 As well as adoring each other, this couple adore Ibiza, to dance and to party and Can Curreu was the perfect choice of venue showcasing the beauty of the island´s architecture, flora and fauna, and having the perfect layout for the flow of the day. 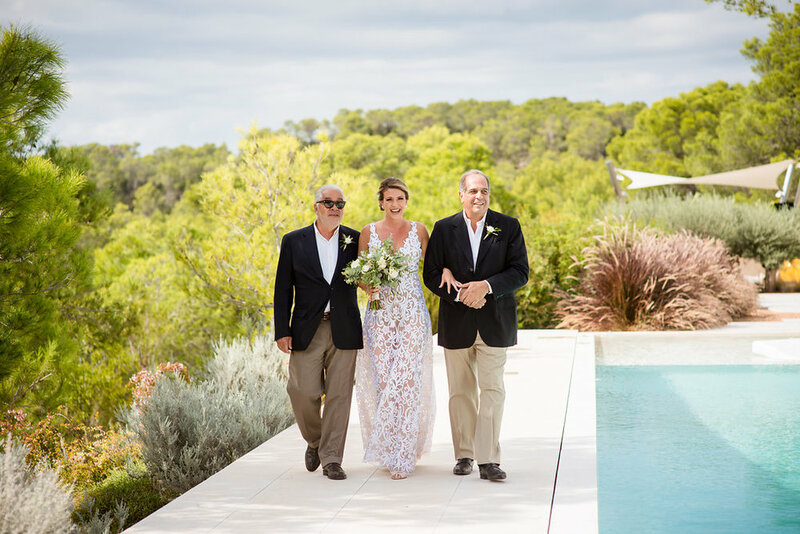 The ceremony was held on a large lawn under the boughs of a hundred year old olive tree, with drinks and canapés served around the pool with views over the surrounding countryside, before moving onto dinner al fresco. The party then continued until late in a purpose built club style area, decorated with lots of moving disco lights and candles. 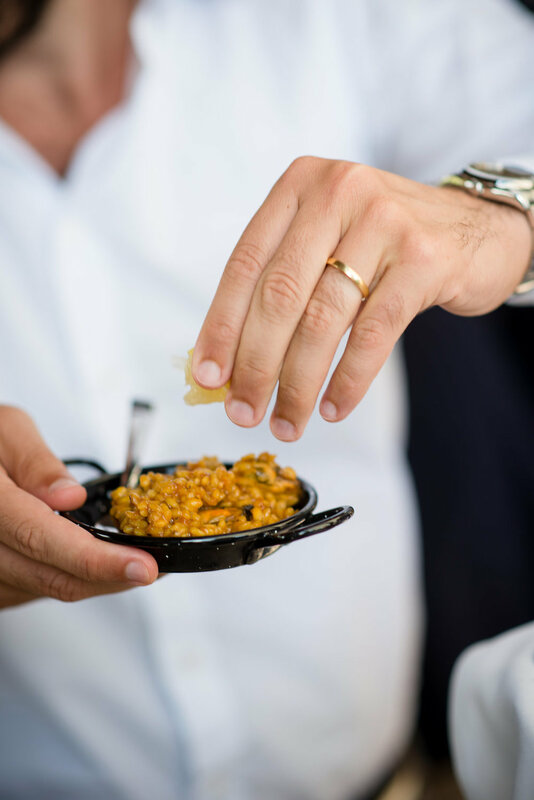 The next day guests were treated to lunch by the ocean at the beautiful Atzaro beach located at Cala Nova, where stories were exchanged over a glass of Cava Sangria, the waves lapping the shores of the beach below. 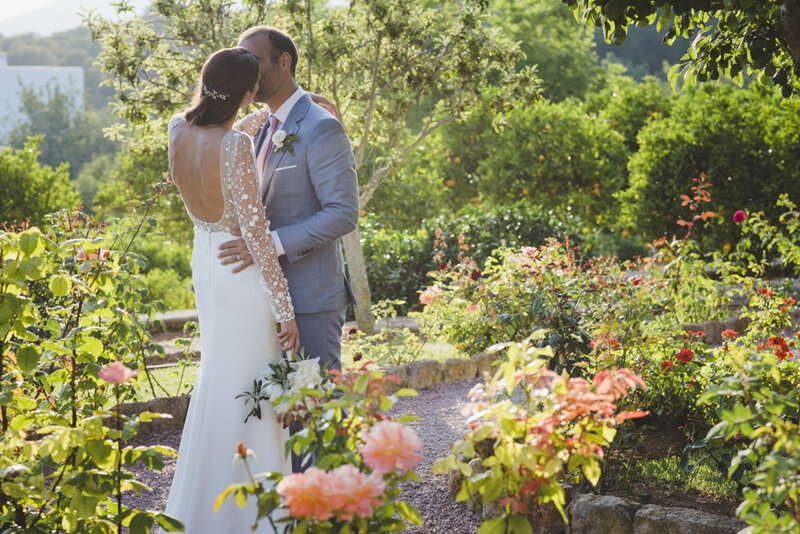 Enter "watch" below to see highlights of Fabian and Nadia´s day shot by the wonderful Ana Marina Sanz.